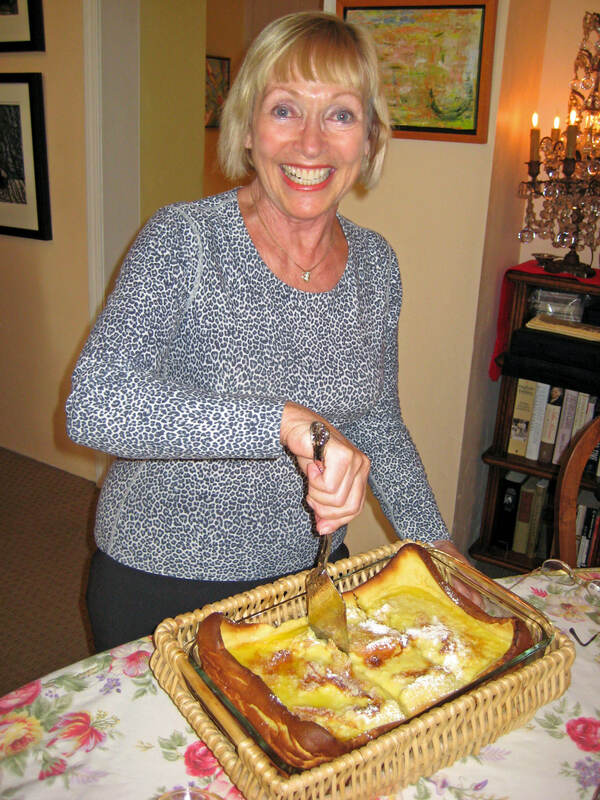 Margot’s Famous Finnish Pancake-A Inn-Keepers Easy Delight & one that Inn guests LOVE!! Keep blender with mixture in refrigerator overnight so that the ingredients can meld well. Next morning, preheat oven. Take the blender out of refrigerator so that the batter will warm up a bit. Right before pouring the batter into the pyrex dish, process once again until blended. Pour re-processed batter into pyrex dish and bake for about 20 minutes or until puffed and brown. The edges will be higher than the rest and will be brown most likely. Remove from the oven and sprinkle with powder sugar. Variations include putting some orange zest in batter; substituting orange juice with lemon juice and/or zest. 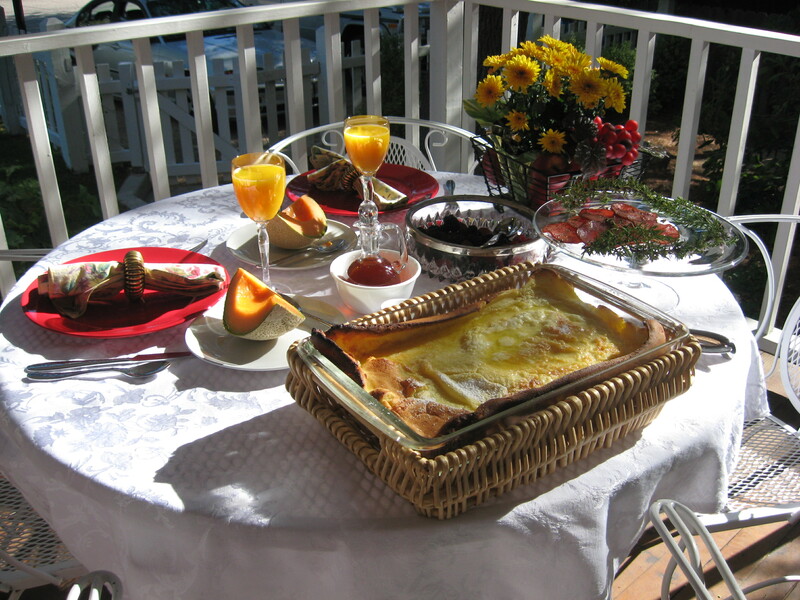 It’s sweet enough to eat without syrup; however, fresh fruit like strawberries, peaches, etc. are delicious placed on top. It freezes well and can be reheated in a micro-wave. It’s even good cold. You can make the batter the same morning, but I really feel its best when left in the refrigerator over night.